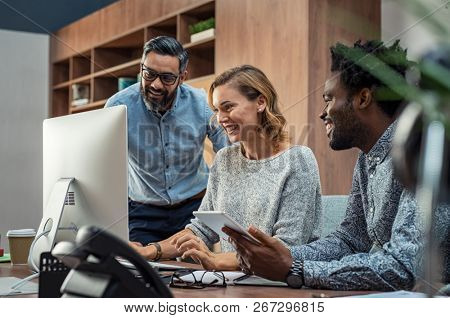 Casual businessmen and cheerful business woman in office working on a project together. 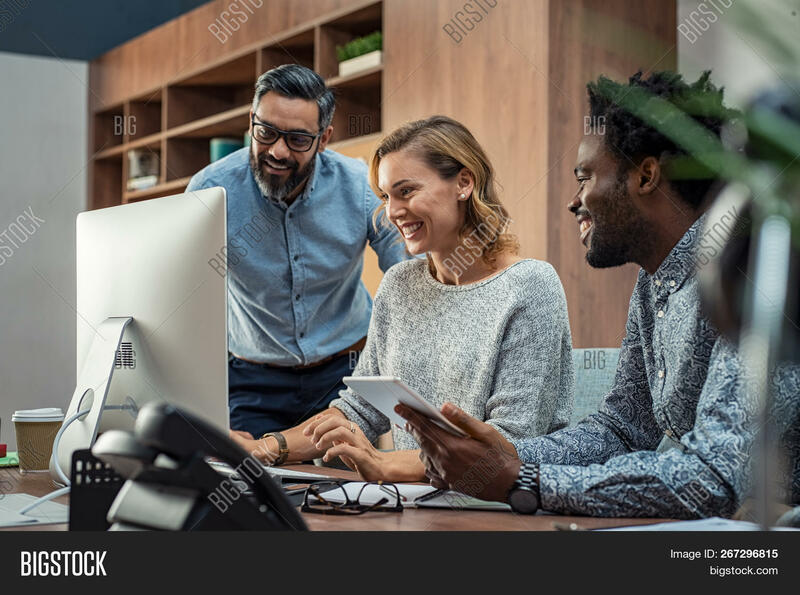 Happy business man and colleagues working in a creative company. Mature businesswoman with her team working.